Most people like chocolate. You can’t deny it! It’s one of the greatest pleasures in life. We can find it in several flavours and presentations: chocolate bar, chocolate cream, chocolate cookies, chocolate ice cream, chocolates box, cocoa powder… and, luckily, CHOCOLATE ICING!!! Which is your favourite kind of chocolate? With regard to flavour, I prefer the milk one (although I like the other ones as well!). Regarding consistency, I prefer melted/cream chocolate rather than solid one. Chocolate bars don’t usually appeal to me as much as Nutella or chocolate buttercream. Mmmm! But there is even a greater pleasure … Just try to combine chocolate buttercream with vanilla one in the same swirl. It’s a fantastic combination!! 2) Add + and keep for a few seconds. 3) Add the remaining and until smooth and creamy (4-5 minutes). >> Cut the corner of the biggest one and fit in the nozzle you wish (I recommend both #1M and #2D). 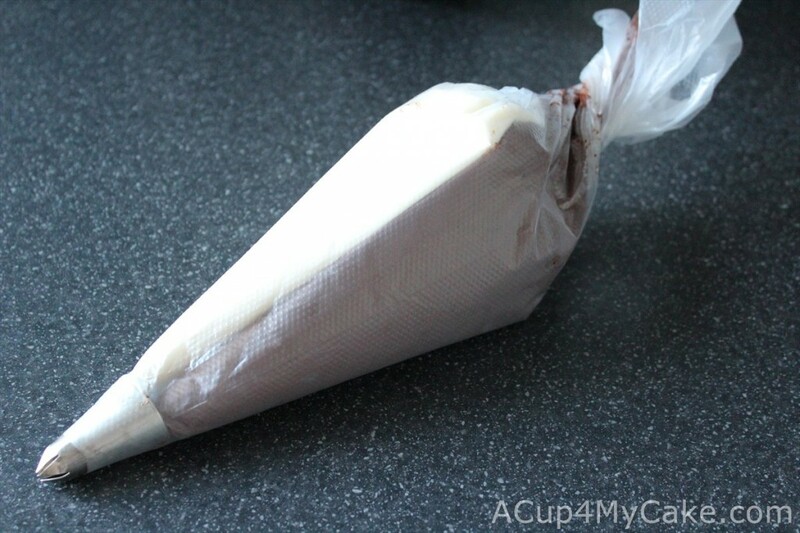 >> Fill the second one with the vanilla buttercream and cut the corner (about 0.4″ cut) – (1 cm). 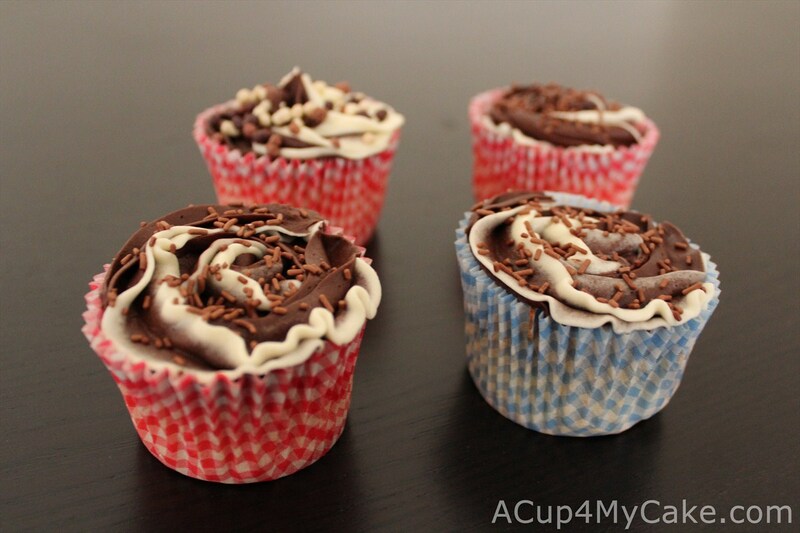 >> Fill the third one with the chocolate buttercream and cut the corner (about 0.4″ cut) – (1 cm). 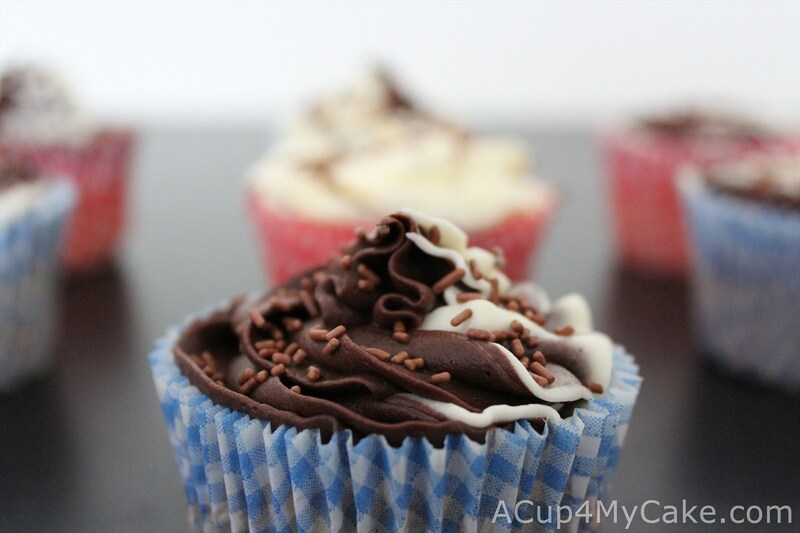 Then, you have to decorate your cupcakes (easy vanilla cupcakes, for example) by making different swirls onto them and sprinkling chocolate strands as soon as possible to stick them easily onto the buttercream. 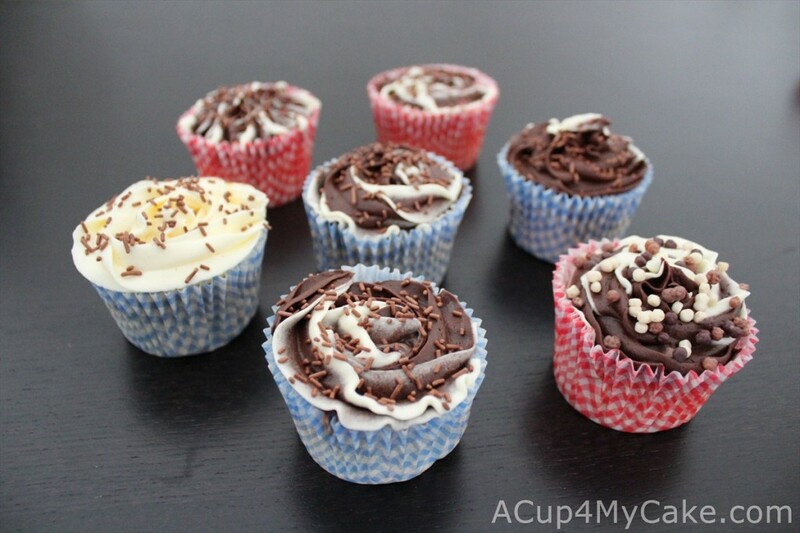 To enhance even more your chocolate experience, try to add some chocolate chips in the cupcakes mixture before baking, or fill the sponges with Nutella once baked. 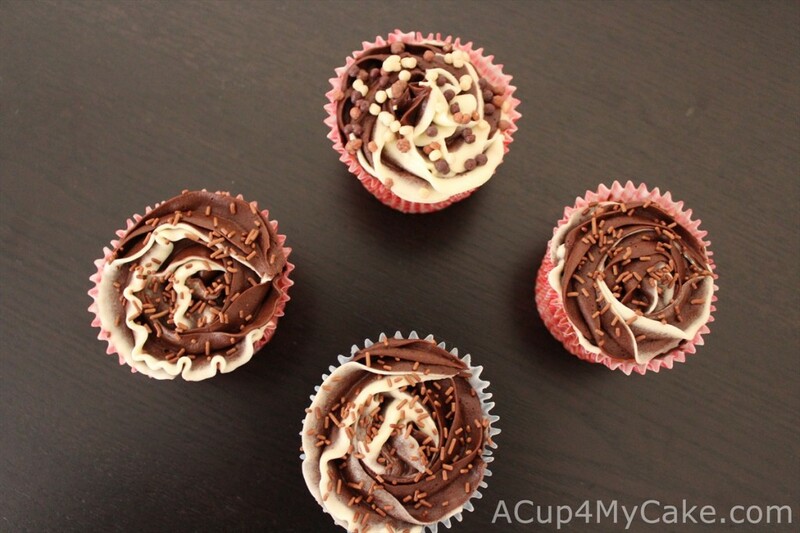 This entry was posted in Chocolate, Cupcakes, Recipes. 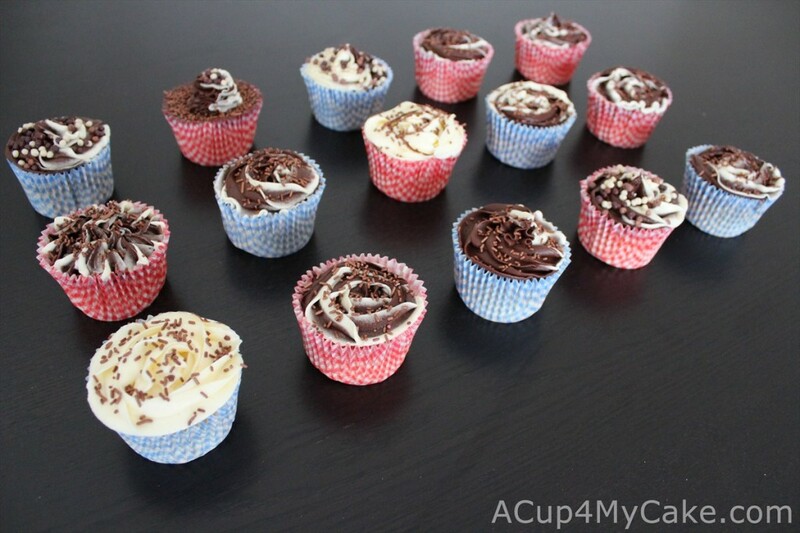 This will be my next experimental recipe… The cupcakes look soooooooo delicious, simply Y-U-M-M-Y!!! I will share this post on Facebook again!!! 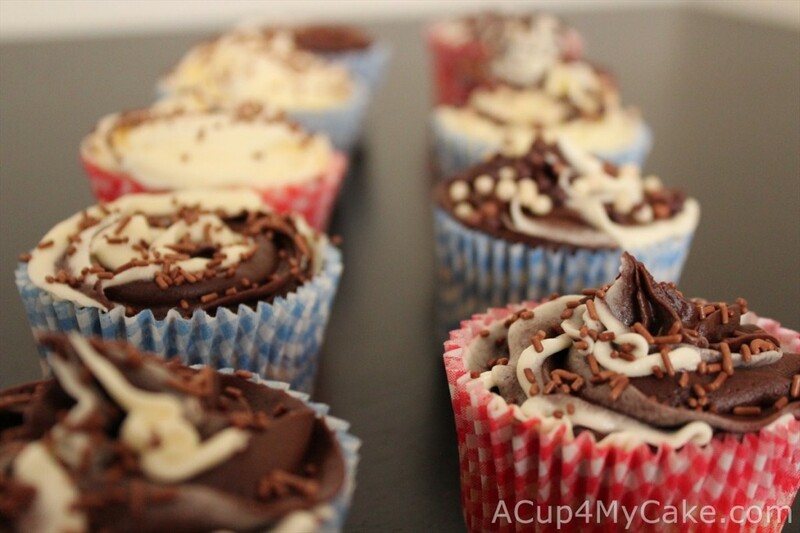 Amazing looking cupcakes! Especially loved the hatching chickens, the owls and the sheep! Very inspiring and just soooooooooooooooo cute!! I’m happy to hear from you! Thanks for your comment, it’s very encouraging. I know you are passionate about baking too I hope everything is fine. Kind regards.